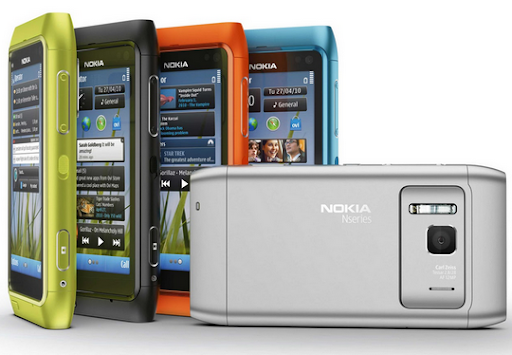 Nokia N8 12 MegaPixel Camera : Powerful Enough for Magazine Cover Shoot! If, after all this time, you're still doubting the power of Nokia N8's 12 MegaPixel camera, then I highly suggest you read this story for enlightenment. For their mag's December 2010 / January 2011 issue, the editor's of PIX - a magazine for photographers of all ages in South Africa - had decided to use Nokia N8 for the cover shoot instead of a DSLR. The end result became the very first magazine cover (by a known title) shot using a cellphone. For this issue we wanted to make a statement and even though Louise was rather sceptical about this concept at first, she let me run with the idea. We wanted to show that it is not the hardware that makes a good photographer but rather the technical execution of an idea. This includes lighting, your subject, and of course, the vision [...].